The Holden Cruze was aimed to be the car that saved local Australian manufacturing, but unfortunately, it simply wasn’t. Holden ended production of the locally-assembled Cruze yesterday for Australians. Since 2011, 126,225 Holden Cruze models (85,217 sedans and 41,008 hatches) left the Elizabeth assembly plant, also marking the final four-cylinder Holden to ever be produced in Australia. The shutdown of Cruze production meant for 320 new layoffs, bringing the workforce tally down to just 880 workers. 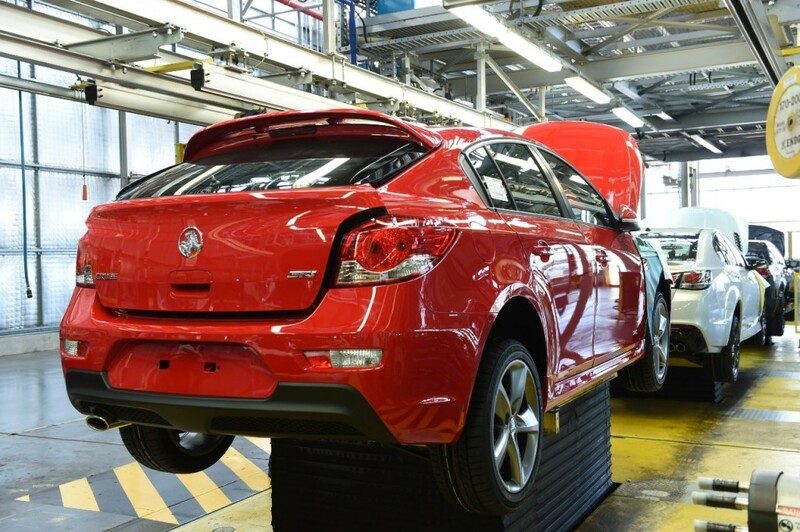 Holden reportedly chose the date to coincide with Ford’s complete shutdown of its Broadmeadows and Geelong facilities to avoid the media’s spotlight, where a red Cruze hatchback SRi became the final vehicle. The final Holden Cruze will be auctioned off to benefit the Leukaemia Foundation, according to Holden. The remaining Holden workers will stay on the job to assemble the 2017 Holden VF Commodore Series II until fall of 2017. A recent order of 1,000 additional Chevrolet SS sedans for the United States will also keep redundancies staggered for the time being. Mark Bernhard, chairman and managing director of Holden, reflected on Holden’s impact locally after the final Cruze was assembled. “Holden’s business is changing and we are building a bright future, but it is equally important to recognise and honor our people and our heritage,” he said. The Holden Cruze will be replaced by the 2017 Holden Astra, a carbon-copy of the 2016 Opel Astra K.